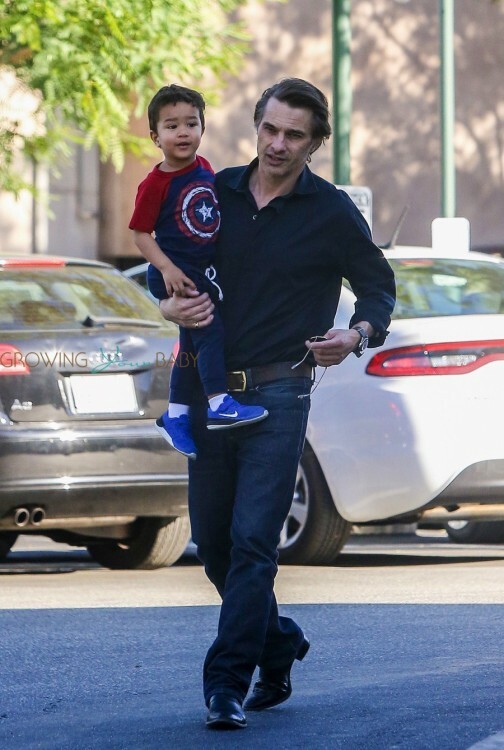 Olivier Martinez was spotted doing the grocery run with his son Maceo on Thursday February 25th, 2016. 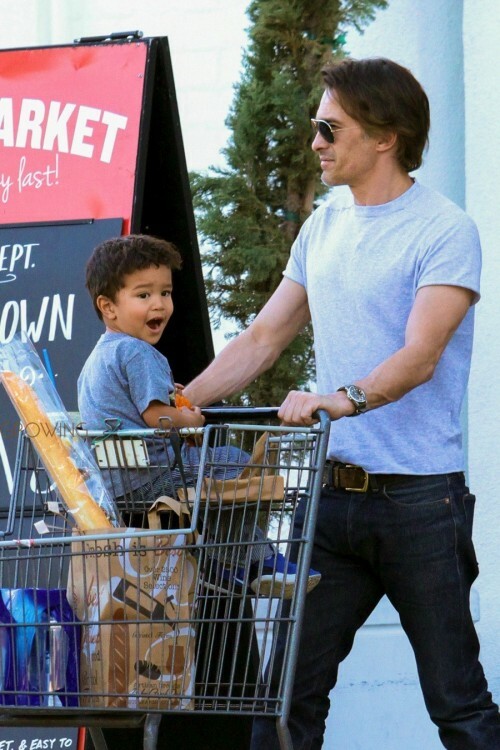 The actor and his little man were all smiles as they left the store. An animated Maceo made funny faces at his dad while riding in the cart. The boys are regulars at the supermarket, and were photographed there the day before as well. 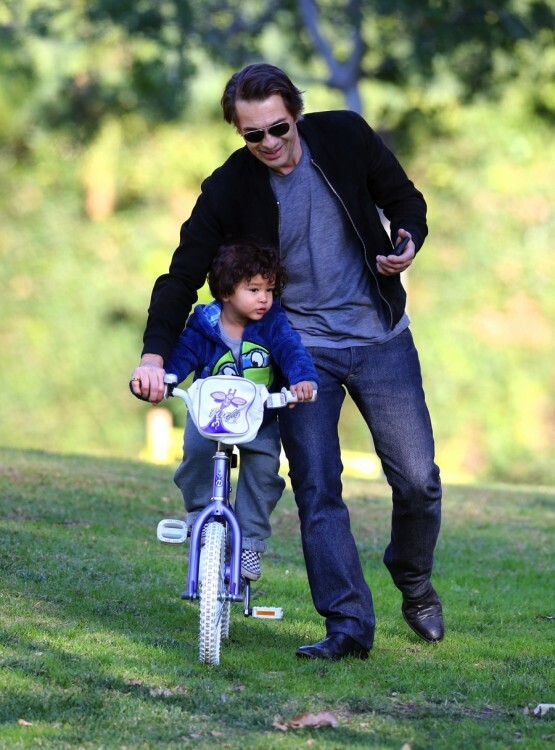 Olivier has had some time off from filming recently, which has allowed him to spend more time with his son. The actor has been photographed enjoying play time at the park with Maceo while teaching him how to ride a bike and play soccer.